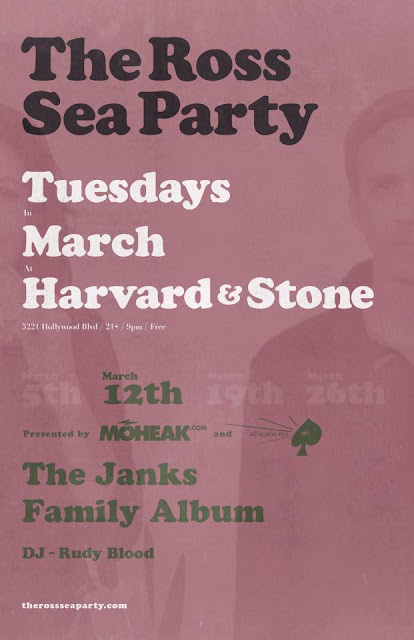 The place to be the last 2 Tuesdays in March is Harvard & Stone on Hollywood Boulevard!! Don't miss your last 2 chances to catch The Ross Sea Party play this RAD venue FOR FREE! You're going to have to pay a lot more than $0 to see RSP in the near future so don't let this golden opportunity pass you by!